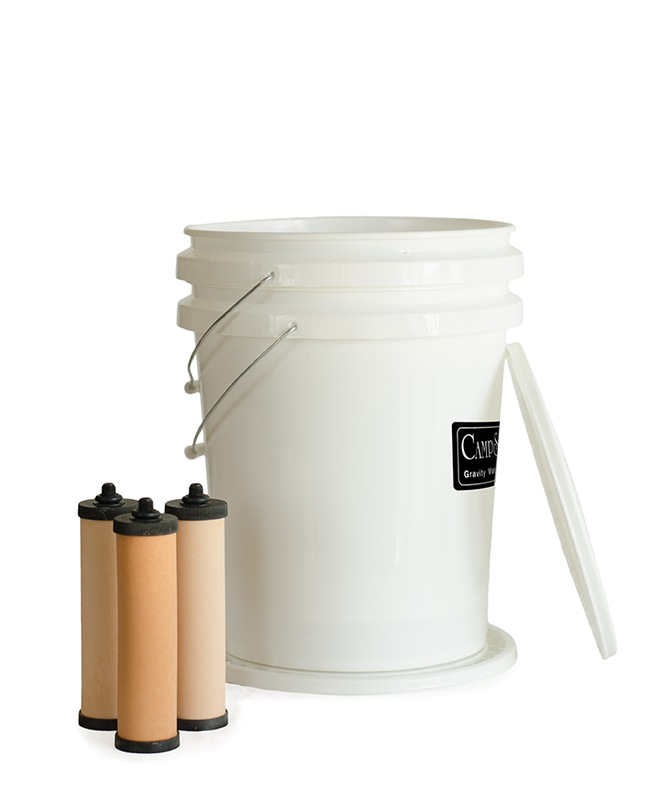 The CampSafe Gravity Water Filter System -Rugged, Ultra-Portable, 5-Gallon Capacity, Specially Designed for Camping and is handy for Crisis and Emergency Use While On-The-Go; Dual Polyethylene Filtration/Collection Vessels;Three patented Micro-Pore Ceramic Filtration Elements, containing Granulated Activated Carbon with Self-Sterilizing Metallic Silver. 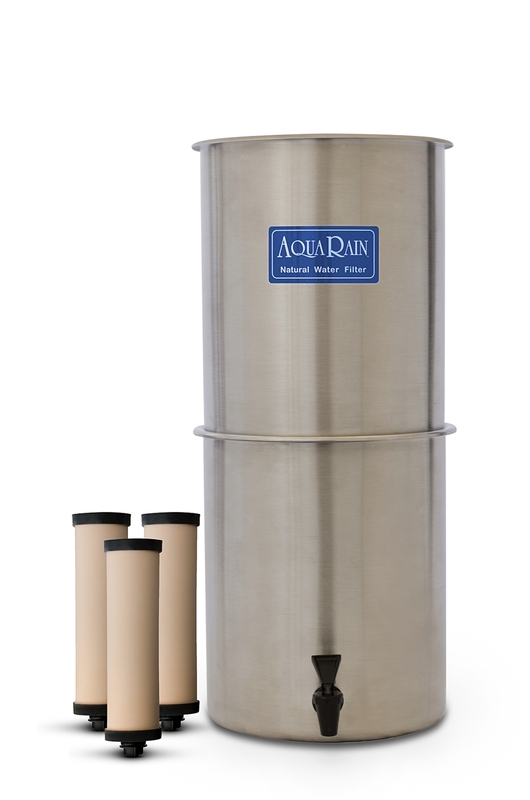 The Ultimate in Flexibility and Portability, without any plumbing or pressure attachments, and with no power connections of any kind. 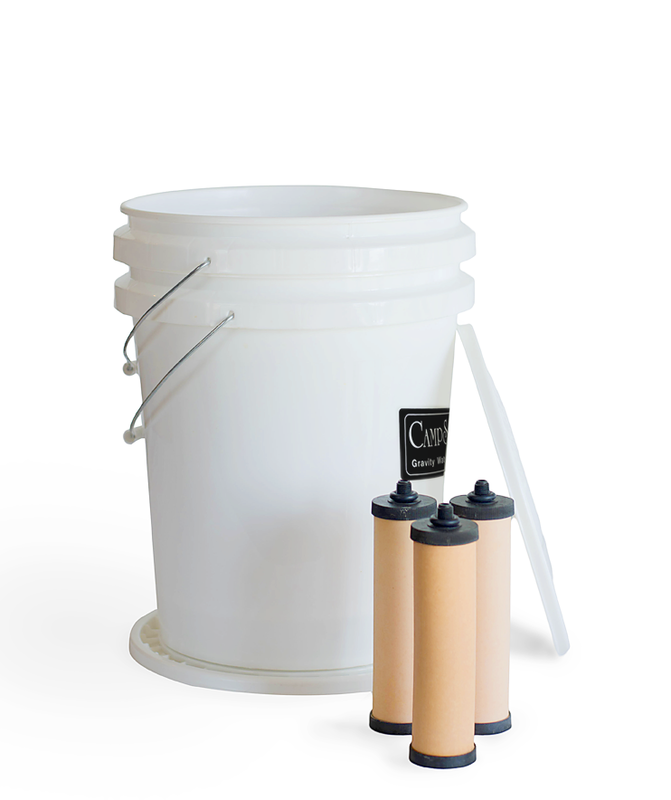 Our patented sub-micron ceramic technology positively removes dangerous living organisms and harmful bacteria from your drinking water... naturally... using micro-filtration and the natural force of gravity. 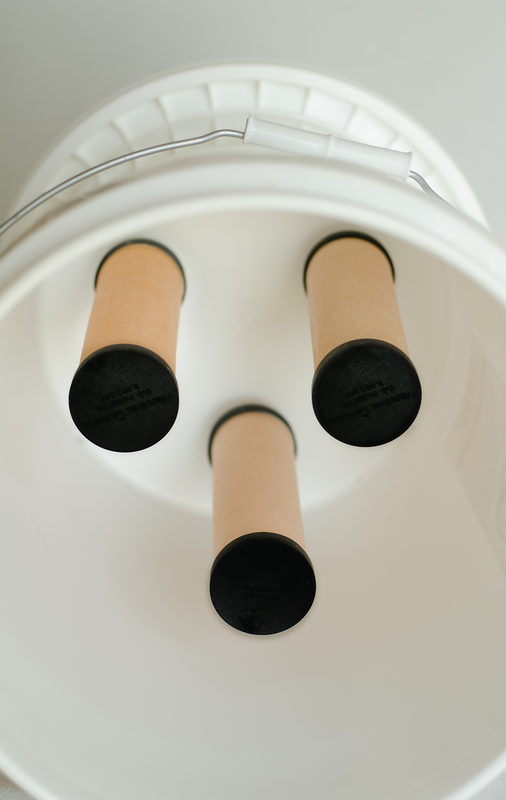 A dense and highly absorptive carbon filter bed has been incorporated within the micro-pore ceramic shell, and sterile metallic silver is added to maintain purity in the filter system. 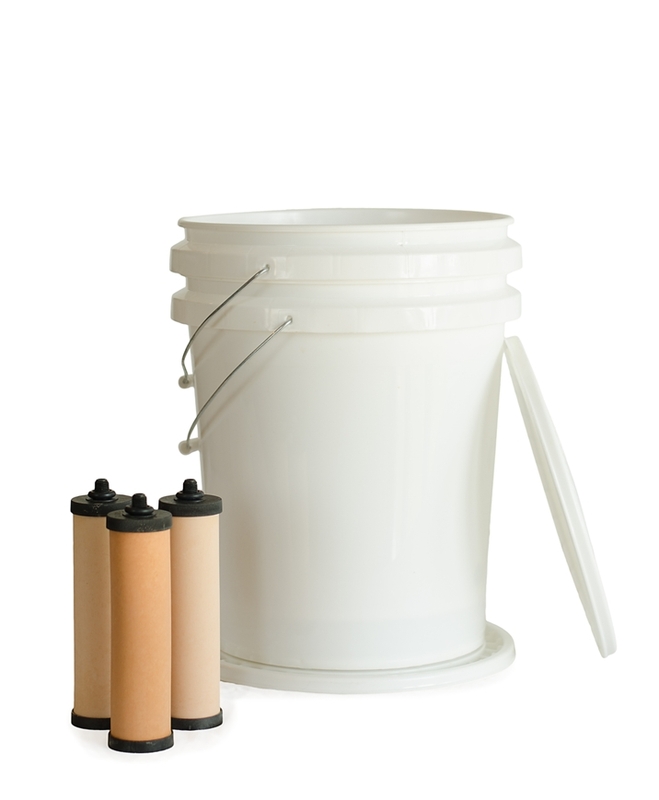 For emergency use, we recommend purchasing the Emergency Water Collection Kit (available separately), specifically engineered to aid in safe collection, pre-treatment and testing of raw water from a variety of available sources, prior to the filtration process. 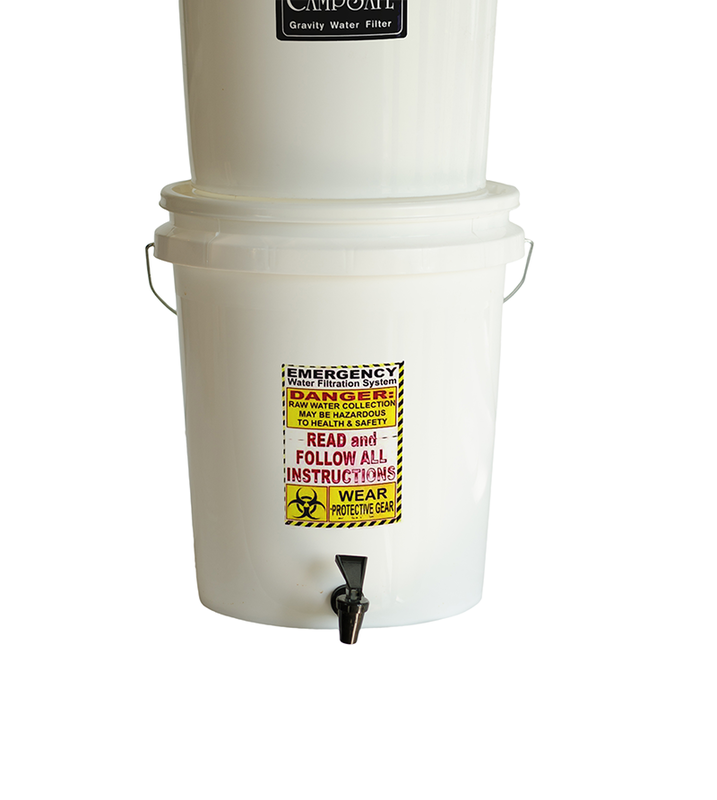 The ePail Emergency Water Filter System features the CampSafe filter system but also includes the Emergency Water Collection Kit at a discount.